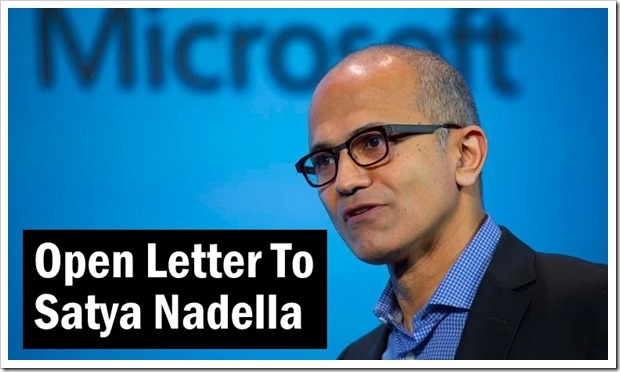 Satya Nadella, the Microsoft Chief, whom Indians cant help gushing over because of his Indian origin and upbringing, stirred up a hornet’s nest by suggesting working women to rely on karma when it comes to securing pay raises. These remarks came when Nadella was speaking during an on-stage discussion at the Grace Hopper Celebration of Women in Computing conference in Arizona. Asked about advice for women interested in advancing careers but uncomfortable asking for pay increases, Mr Nadella was quoted as saying they should just trust “that the system will actually give you the right raises as you go along”. As if that was not enough, he went on to add that women who do not ask for better remuneration have a “superpower” in the form of “good karma, that will come back”. The moderator at this discussion, Maria Klawe, a college president and a member of Microsoft’s board of directors, pointedly disagreed with Mr Nadella drawing thunderous applause from the audience. Ms. Klawe advised women listening to “do your homework” to make sure their pay is on par with that of male counterparts. I am an Indian and I feel very proud when I see a compatriot doing well in his/ her chosen field, though I do feel anguished when I see a greater percentage of my fellow countrymen doing better across our shores than they could had they chosen to stay back. But I couldn’t disagree more with you on what you said earlier today. It is now a proven fact that women across the globe get paid lesser than their male counterparts for same or similar jobs. A woman earns only 78 cents for every dollar that a man earns. It’s been that way since the sixties. How long does the female of species need to wait for karma to get back to her? I do not quite know whether I believe in God, but I do believe in karma. Being good in thought, word and deed. But I don’t trust karma to negotiate for me. And I don’t feel ashamed in admitting that I want to be paid NOW for what I do, rather than waiting for karma to dish it out to me. When “it should” if I were to go by what you suggest.. Your image has been severely dented by making this misguided statement. Somehow I don’t respect you as much as I did earlier after I read that. Coming from a person of your stature, it reeks of male chauvinism. Not surprisingly, there are only 2 women directors on your top-board consisting of 12 members. Your backtracking from your statements and clarifications over twitter do little to salvage the huge drubbing that your image has taken. I also read that you later sent out memos to members of your staff apologizing for suggesting women rely on good karma instead of asking for raises, saying your reply to the question earlier was “completely wrong”. I see those as mere face-saving gimmicks – we got to know the person beneath the suave corporate exec when you said those words spontaneously. I know you aren’t reading this. But I’m sorry- you lost a huge fan today. Hunting Job online? Here are 5 important things to keep in mind! IMHO he didn’t answer the question articulately and that’s it. What he said is regrettable but before labelling him as a male chauvinist and using sentences like “I don’t respect you as much..” and “face saving gimmicks” I feel unfortunately you are falling in the same line which almost every tech journalist is falling for out there. In this entire conference that is about women, Trak.in similar to all tech news site out there is reporting no achievement, no applauds about the women who attended GHC BUT a loose statement which was passed by Satya (which he also apologized for and it takes guts). You just missed out the goodness and chose to report the loose statement. Now just because I didn’t like this reporting of yours, am I going to stop visiting your site or stop subscribing to your newsletter. NO. I like many other readers who agree with what I am trying to say, will give you another chance to get this report right, coz isn’t life all about second chances? Well, you can take an Indian out of India, but you can’t take India out of an Indian. Loved the open letter, and I hope that he reads it!